Karigan s will proves no match for the Rider's call; ghostly hoofbeats sounding in her mind, visions of the freedom of the open road, all calling her back to the king's service as a Green Rider. 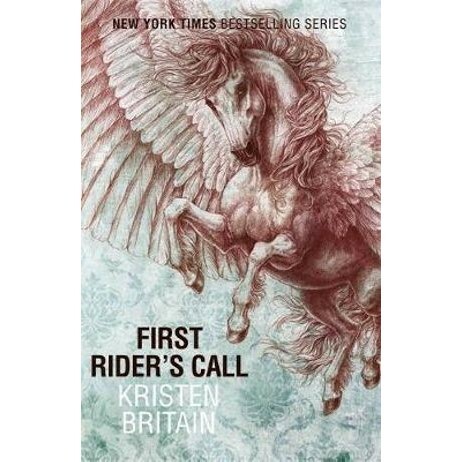 Karigan resists it, but when she wakes up to find herself - in her nightdress - on horseback and halfway across the country, her destiny is clear: she is a Green Rider. Kristen Britain lives in a log cabin in Maine where she writes full-time and pursues interests reading, guitar playing and cartoon illustration. She enjoys exploring the magical places around her and can often be found paddling a canoe in stillwater, ambling through the woods to mountain summits, or sitting along the rocky shore listening, watching and daydreaming.